Author, psychologist, and astrologer Monika Wikman has worked for decades with clients and their dream symbols and witnessed the presence of the divine hand at work in the psyche. 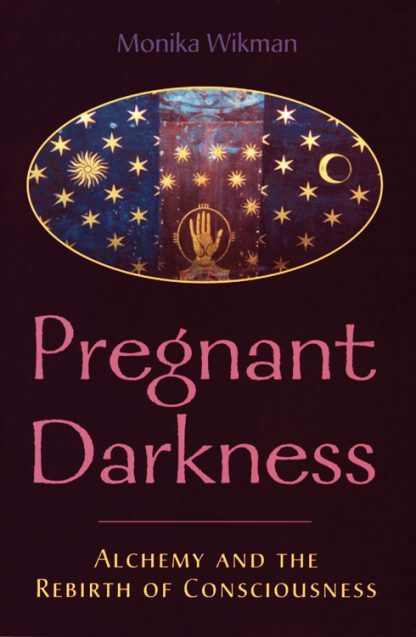 In The Pregnant Darkness, Wikman shows readers that the best way to cope with their darkest hours is by fostering a connection to the deeper current of life, those mysteries that give life form and meaning. Wikman's analysis of dream material leads readers into a practical explanation of alchemical symbolism. Far from being a quaint, ancient practice, The Pregnant Darkness shows that alchemy is at work in contemporary, everyday life. Alchemical symbolism, properly understood, can be applied to unraveling the meaning of visions in meditation, active imagination, and dream work. Wikman shows how readers can participate in the divine energies to help miraculous changes occur in their lives. Wikman writes: "In Greek mythology, Pegasus, upon taking to the air, pushed hard with a back hoof and penetrated the earth. A spring rose up where his hoof dashed the earth, and in this hole . . . the muses reside. One of the roles of the "religious function" of which Jung speaks is to bring us toward that inner spring of the muses where something beyond ego resides, instructs, and inspires. Like a hole created from Pegasus' leaping foot, contact with this inner spring often entails a crack in our field of ordinary consciousness. In the inner world, the spring of living symbols and accompanying presences is the source of dreams and visions, as well as the fountain of inspiration at the heart of poetry, art, ritual, mythology, and even religion."